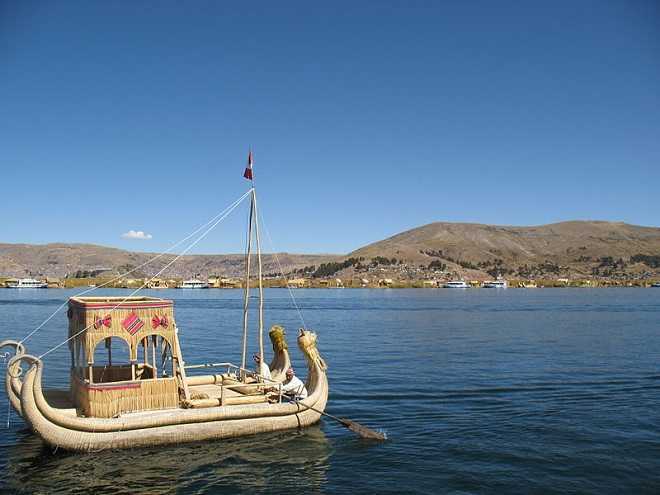 Situated within Lake Titicaca, Bolivia, Isla del Sol or the Island of the Sun is the holy site for the ancient Inca civilization. Legend tells of the story of the universe creator Viracocha, emerging from the waters of the lake and creating the sun on this island. Today, the island is known for its cleanliness, tranquility and laidback atmosphere. Motorized vehicles are not allowed on the island. The two major towns on Isla del Sol are Challapampa and Yumani, located on the northern and southern ends of the island respectively. The only way of getting to Isla del Sol is by boat. The usual access point is the nearby city of Copacabana. There are always regular half-day or full-day boat tours leaving from Copacabana to Isla del Sol. You can make early reservations with a tour company. Or you can go to the waterfront directly to catch a boat to Challapampa. Travel experts say that half a day tour is too short to see the attractions and really enjoy the island. Instead, overnight stays are highly recommended. You can also arrange a tour company to pick you up the next day. The town of Challapampa is where boats usually let off passengers. While here, don’t forget to drop by the Gold Museum or Museo de Oro. There you can experience an exhibit of Inca treasures found off the island’s shores. The other interesting sites are located on the northern tip of the island. The best way to get there is to hike 45 minutes to one hour. The hike itself is not hard. But some of the challenges include altitude sickness, and strong sun. Bring plenty of sunscreen and liquids. Wear hats and clothing that can protect you from the strong rays. It is best to hire a guide to help you to understand the history behind the archaeological ruins you will visit. One prominent Inca sacred site on the northern tip is The Rock of the Puma or the Sacred Rock. This huge rock formation at first glance does not really resemble a puma. Nearby, you will discover the Inca Table; a low stone platform believed to have been used for human sacrifices to the gods. Also close by is the Chincana Labyrinth and a maze of Inca building ruins. They are suspected to be the former homes of people caring for the temples. Aside from boat tours that will bring you straight to Yumani, a number of tourists usually reach the town by walking from Challapampa. The hike between the two towns is about three hours. Other possible land transportation between the two towns is by way of pack donkeys and llamas. This may or may not make the hike your route of choice. In this southern region of Isla del Sol, one popular visitor attraction is the Inca Steps. They go all the way down to the port area. Just below the steps is a channel of water once referred to as the Fountain of Youth. If you go further south, you will come across the Temple of Pilcocaina. Yumani has better choices when it comes to restaurants, basic lodging (alojamientos) and other tourist facilities. If you want to stay overnight and save on accommodations, you can stay at one of the hospedajes. That’s a small family-owned place as cheap as USD 2.00 per night. Isla del Sol (“Island of the Sun”) is the largest Island on Lake Titicaca. It is on the Bolivian side of the lake. Isla del Sol, and especially the Chincana ruins and the Titi Kharka rock, were worshipped by the Incas. They considered them as the birthplace of the sun and the first Incas. The Titi Kharka rock (Rock of the Puma, because the rock is claimed to be shaped like a crouching puma) gave the name of lake Titicaca. The Mesa Ceremonica, in front of the rock, is a ceremonial altar possibly used for human and animal sacrifices. The video shows hike from Challapampa to the North point of the island, sunset and sunrise over the lake, then hike from North to the South, to Yumani. Other inca ruins in the video: the Inca Steps, the Fountain of Youth, Temple of Pilcocaina. Take the quiz and let’s see how much you learned about Isla del Sol Bolivia. This Travel Quiz is about Isla del Sol Bolivia. This ia a true or false quiz. The level of this quiz is easy. Isla del Sol Bolivia is a potential island you might want to visit in Bolivia. Thanks for taking this quiz on Isla del Sol Bolivia. For centuries this island has been considered sacred, and that includes today. At 13,000 ft above sea level, Isla del Sol is surrounded by the sapphire majesty of Lake Titicaca, which in turn is cradled by the Andes mountains. This panorama is breathtaking; made all the more surreal by the lack of vehicular traffic. The silence, the cultural traditions, and the ancient ruins that dots its surface add to this otherworldly mix. In this video we walk the main “road” or footpath that runs north to south. It was a six hour hike that passed in a moment; and it is my honor to give you a glimpse into this perfect day. There are no motor vehicles or paved roads on the island. Archaeologists have discovered evidence that people lived on the island as far back as the third millennium BCE. In the religion of the Incas, it was believed that the sun god was born here. According to Inca origin myth that took place on the northern part of this island, Inca Manco Cápac is said to have emerged from a prominent crag in a large sandstone outcrop known as Titikala (the Sacred Rock). Manco Cápac is the son of Inti the Andean deity identified as the sun. In one version of the myth, the ancient people of the province were without light in the sky for many days and grew frightened of the darkness. Finally, the people saw the Sun emerge from the crag and believed it was the Sun’s dwelling place. Thanks for taking this quiz on Isla del Sol Bolivia. Want to know how you did with the quiz? True. 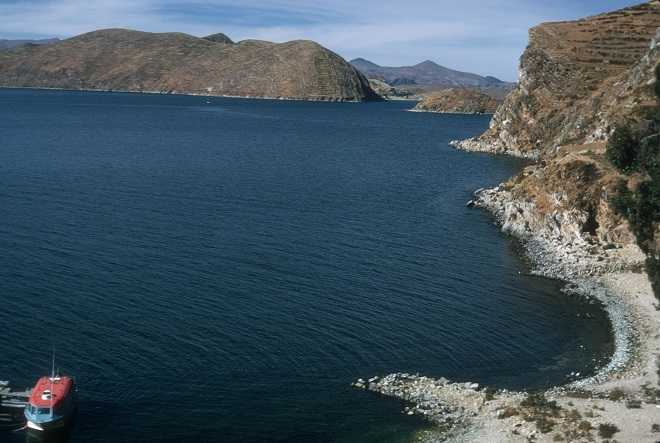 Isla del Sol or the Island of the Sun is the holy site for the ancient Inca civilization. The only way of getting to Isla del Sol is by boat. True. The only way of getting to Isla del Sol is by boat, and the usual access point is the nearby city of Copacabana. While in Copacabana, you drop by the Gold Museum or Museo de Oro, where you can experience an exhibit of Inca treasures found off the island’s shores. False. The Gold Museum is in town of Challapampa, where boats usually let off passengers. The Inca Table is a huge rock formation, also called the Sacred Rock. False. The Inca Table is a low stone platform believed to have been used for human sacrifices to the gods. There are over 180 ruins on the island including the Chincana Labyrinth. True. The Chincana Labyrinth is a maze of Inca building ruins, suspected to be the former homes of people caring for the temples. bolivia, isla del sol, island of the sun, Islands. Bookmark.